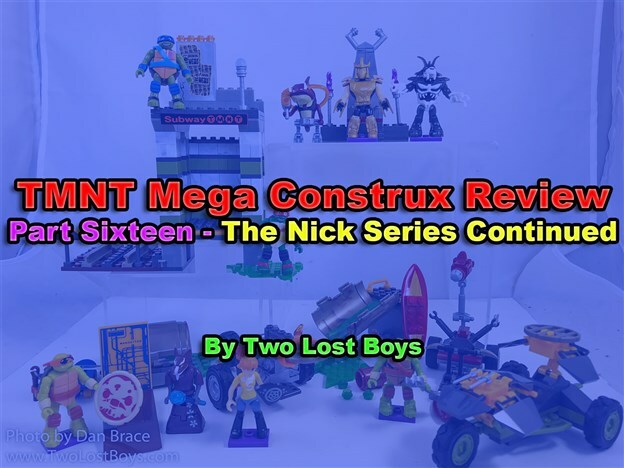 Continuing my review of the Mega Bloks/Construx TMNT range. 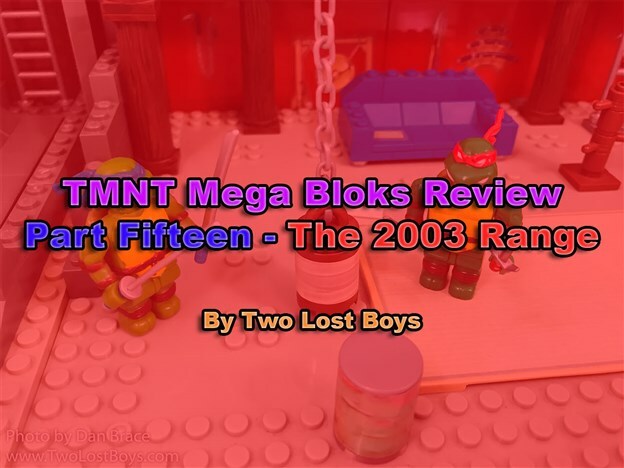 My review of the 2003 series' Mega Bloks range. 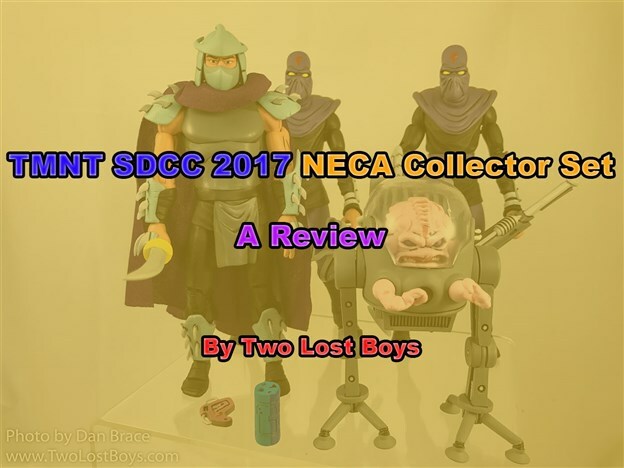 Index post for all my TMNT related reviews, including Mega Bloks/Construx, TMNT Box, Playmates, exhibit visits, etc. 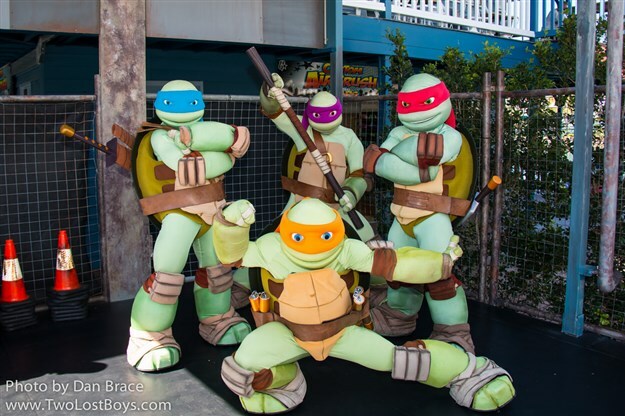 A close up look at the ComicCon limited edition TMNT action figure set from NECA. 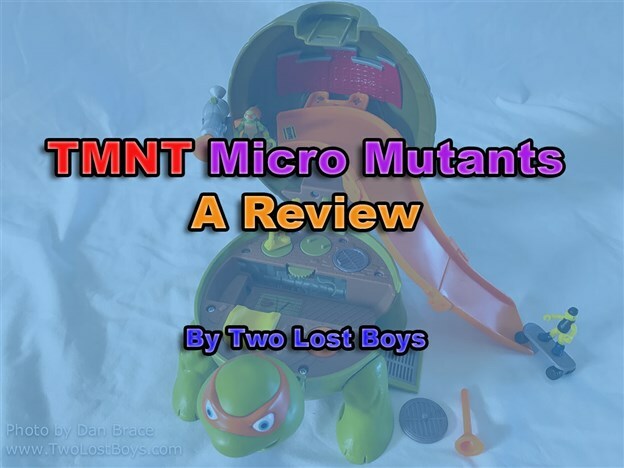 My review of four of the Micro Mutants toys from Playmates Toys. 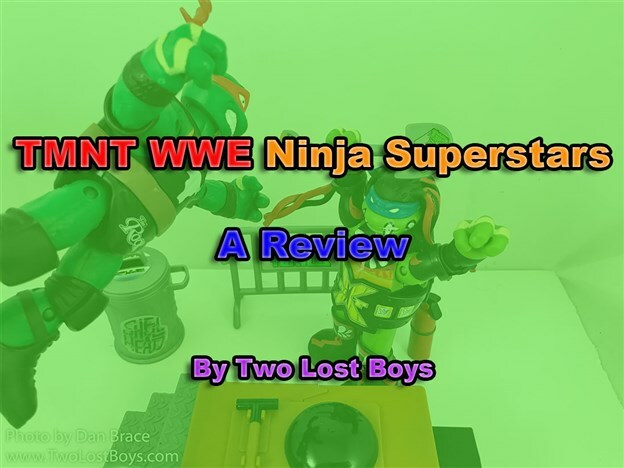 My review of the Ninja Superstars crossover action figures from Playmates Toys. 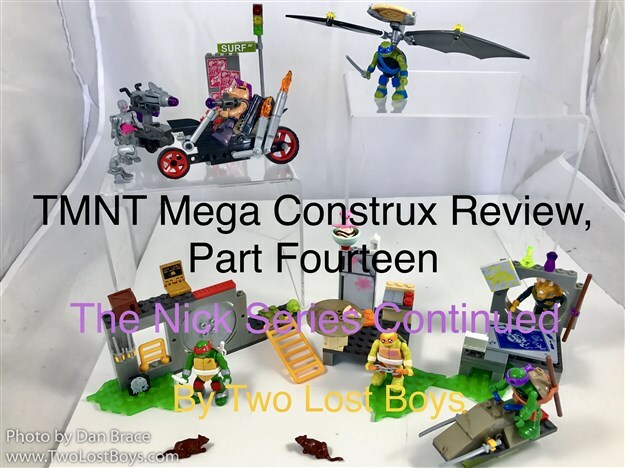 Continuing my ongoing review series of the TMNT line from Mega Construx (formerly Mega Bloks). 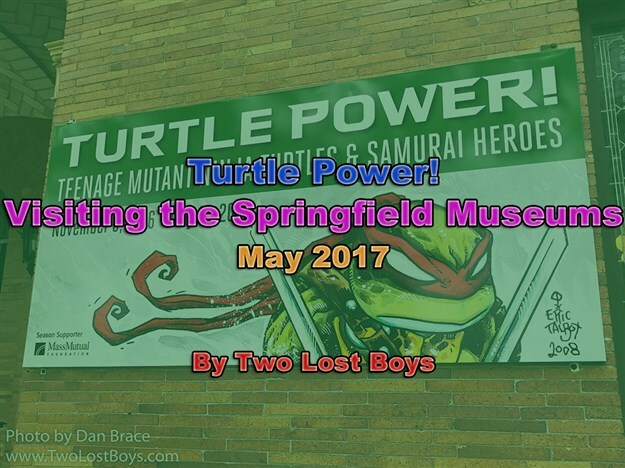 My report on my visit to the Springfield Museums' Turtle Power! exhibit in May 2017. 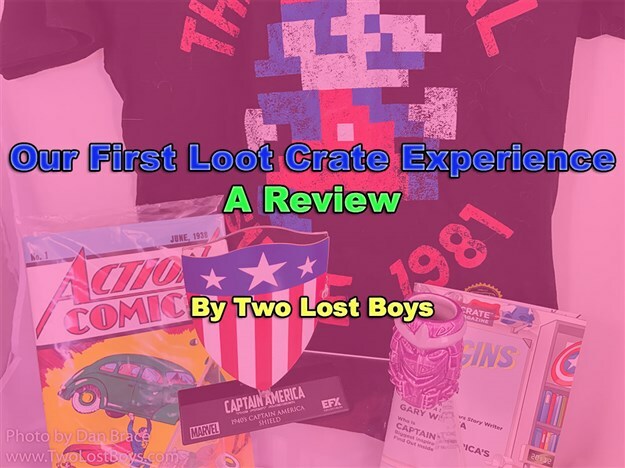 Taking a look inside a one-off Loot Crate box that we purchased earlier this year. 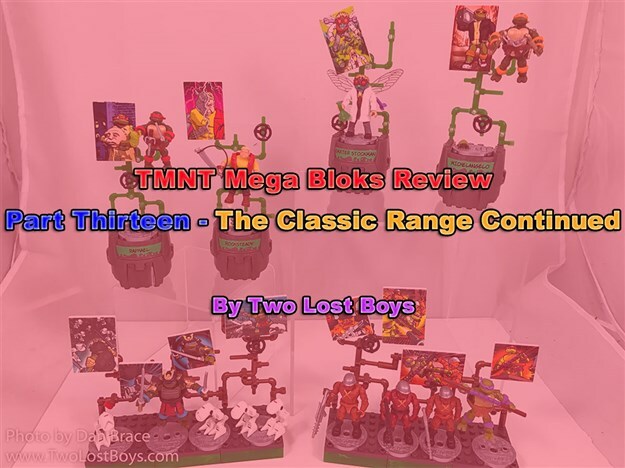 Continuing my long running review of the TMNT Mega Bloks line.